Your body is changing. Are you experiencing an unending hunger yet your remain unsatisfied by foods of the past? You only want the freshest meat, straight from the bone. And yes, that might seem gross to us living folk but you're not one of us anymore! So move on. Embrace your vicious new self! Soon enough you'll end up with sharp teeth, bleached white eyes, and you'll probably never wash your hair again. Congratulations. The biggest change you'll see in your undead life? You'll see some serious changes in your skin texture. We're not sure how exactly that happens but we're thinking it has something to do with slowly decomposing while endlessly walking the earth no matter the weather. When you're creating the scarred and decomposing skin of the living dead, latex is key! Use it to attach prosthetic wounds, create stretched out skin, and burns. You'll get one ounce of easy to apply liquid latex and a sponge that can be used for "painting" dead skin. 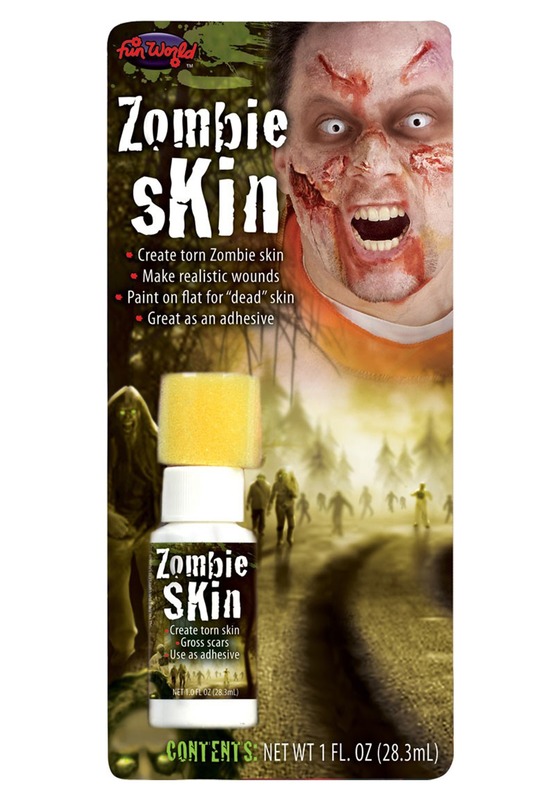 When people are all about the zombie apocalypse, they can get all snooty about surviving. Sure, the mass of humanity is giving way to a monstrous fate by they'd never be one of them. Hey, most people are going down, that doesn't mean failure! In fact, we're pretty sure that zombies have more fun when survival is this brutal. Be the best zombie you can be this spooky holiday season. And by best, we mean most disgusting!